We evaluated vertebral fracture prevalence using DXA-based vertebral fracture assessment and its influence on the Fracture Risk Assessment (FRAX) tool-determined 10-year fracture probability in a cohort of oldest old nursing home residents. 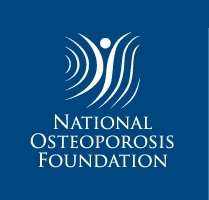 More than one third of the subjects had prevalent vertebral fracture and 50% osteoporosis. Probably in relation with the prevailing influence of age and medical history of fracture, adding these information into FRAX did not markedly modify fracture probability. Oldest old nursing home residents are at very high risk of fracture. The prevalence of vertebral fracture in this specific population and its influence on fracture probability using the FRAX tool are not known. Using a mobile DXA osteodensitometer, we studied the prevalence of vertebral fracture, as assessed by vertebral fracture assessment program, of osteoporosis and of sarcopenia in 151 nursing home residents. Ten-year fracture probability was calculated using appropriately calibrated FRAX tool. Vertebral fractures were detected in 36% of oldest old nursing home residents (mean age, 85.9 ± 0.6 years). 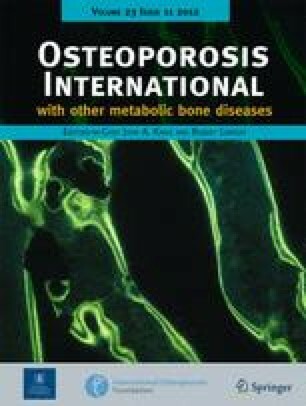 The prevalence of osteoporosis and sarcopenia was 52% and 22%, respectively. Ten-year fracture probability as assessed by FRAX tool was 27% and 15% for major fracture and hip fracture, respectively. Adding BMD or VFA values did not significantly modify it. In oldest old nursing home residents, osteoporosis and vertebral fracture were frequently detected. Ten-year fracture probability appeared to be mainly determined by age and clinical risk factors obtained by medical history, rather than by BMD or vertebral fracture. We are indebted to the nurses and all the care givers in the nursing homes, to Ms. C. Genet for DXA evaluations, Ms. M-A. Schaad RN, and A. Sigaud RN for the information delivered in the nursing homes. We thank the AETAS Foundation and the Geneva University Hospitals for their support. Ms. K. Giroux provided expert secretarial assistance.